Destination Moon (Original: Objectif Lune) is the 16th comic of the Adventure of Tintin series. The comic published weekly from March to September 1950 in Tintin magazine. In 1953 the comic is re edited and published as volume by Caterman. Professor Calculus has been commissioned by the Syldavian government to build a rocket ship that will fly to the Moon. Soon Tintin, Snowy and Haddock joined with Calculus. 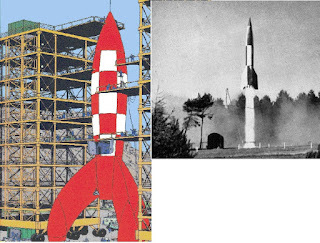 But only Syldavian government alone not trying to built rocket to reach the moon. A unknown foreign power was also competing. A German V-2 rocket being launched in 1945. 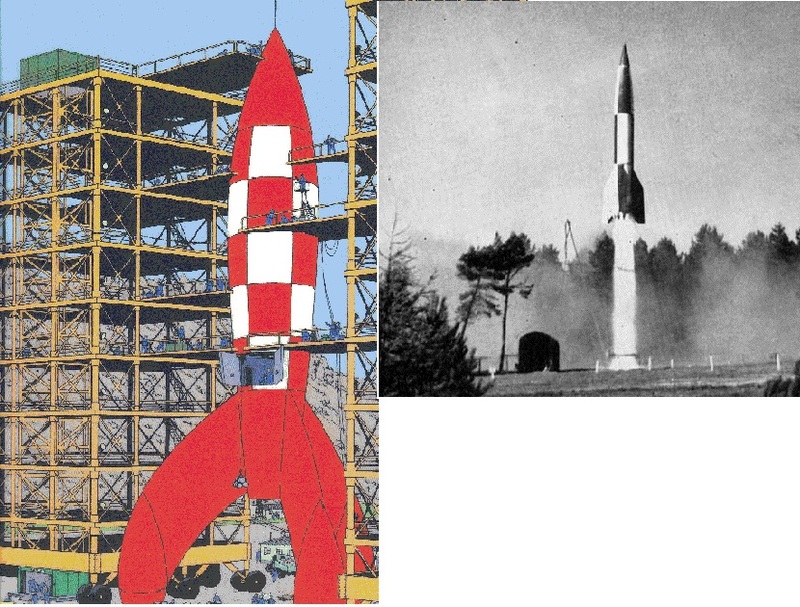 The V-2 would serve as a major inspiration for Hergé in his work on both Destination Moon and Explorers on the Moon. Destination Moon is the first volume in a two-part story, the plot of Destination Moon was continued in the 17th Tintin adventure, Explorers on the Moon.